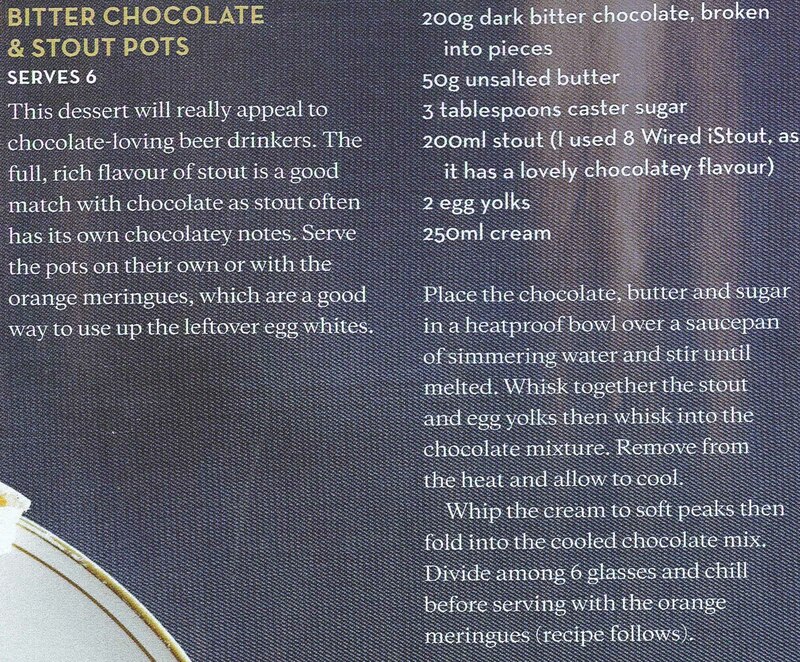 As requested here is the recipe for the Bitter Chocolate and Stout Pots. This is from the June issue of Cuisine magazine. I'm having lots of fun with this issue. There are plenty of 'winter warmers' so if you are that way inclined I strongly suggest picking up a copy. I used Lindt 85% and the 8 Wired iStout... word of warning, the Lindt 85% is not for the faint-hearted. 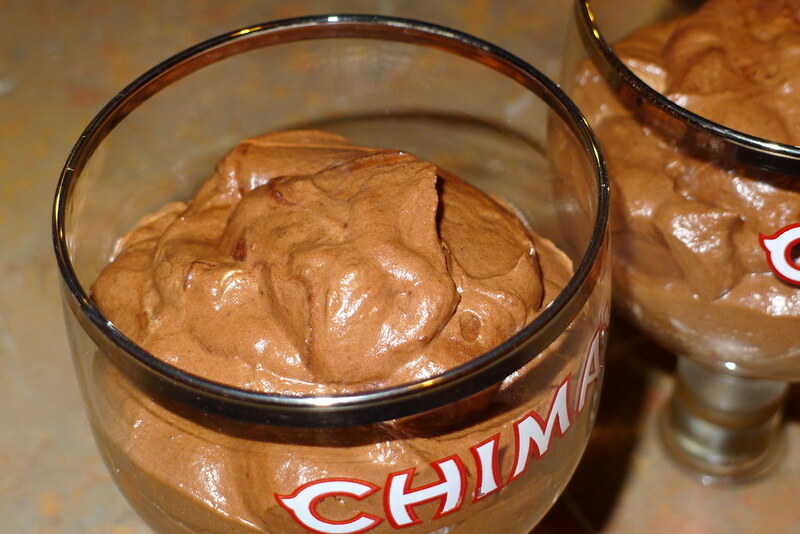 I survived one of these 'pots' (I also only split it into 4... oops) but probably ended up in a chocolate coma... My other half did not survive. I also didn't make the meringues for many reasons, mainly cos I was tired! I have also recently made a delightfuly deadly flourless chocolate cake served with an Invercargill Brewery Pitch Black and from the most awesome June issue of Cuisine, Roasted Pears with Dark Chocolate and Walnut Crumble. More on those next time (see I've said next time... I WILL have to blog again).